Abstract: The CEO of Airwheel thinks that Airwheel self-balancing scooters have the power to change the cities. Combining innovations with high technologies, Airwheel brings citizens the most beautiful low-carbon way of travel. Self-balancing electric scooters have unconsciously integrated into many people’s life. And riding a self-balancing scooter has been the best way of urban commuting. With the professional design team and innovative spirits, the value of Airwheel intelligent electric scooters has been taken to a next lever among so many brands. Therefore, the CEO of Airwheel thinks that Airwheel self-balancing scooters have the power to change the cities. And Airwheel provides the most beautiful low-carbon way of travel with citizens. Airwheel intelligent electric scooters can make citizens’ life happier. It has so many advantages to ride Airwheel electric scooters. From the level of society, that’s low-carbon and zero-emission. At the same time, it helps relieve traffic pressure. On a personal level, it helps one lose weight, keep fit and reduce the commuting time. During break time, users can release their work pressure through riding an Airwheel intelligent electric scooter. Therefore, it is not only a kind of vehicle but also is meaningful for the society and citizens’ lives. Happiness is the essence of cycling. The intelligent electric scooter isn’t pioneering in the cycling field. However, its riding is more comfortable and efficient than bicycling. Its riding is greener than motorcycling. It helps citizens find proper rhythm in their life, neither too fast nor too slow. 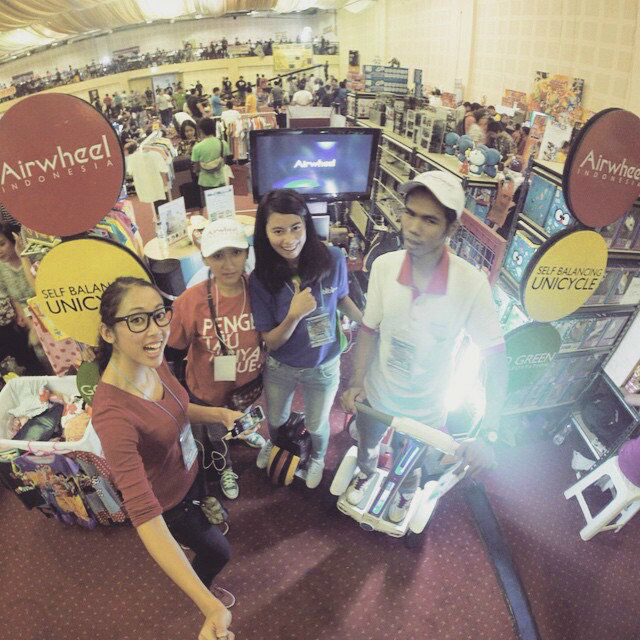 Airwheel’ success comes from the strict requirements for details and the pursuit of happiness. The foundation of cycling is to ensure riders’ safety. Airwheel strictly treat with every procedure of producing the intelligent electric scooters. It chooses the reliable original Sony/Panasonic lithium battery, high-quality Cheng Shin Tyre and synthetic resin shell which is made of advanced nano materials. Considering that intelligent scooters can only be rode on the pavement, Airwheel specially adds protection system of speed limit in the smart chips of intelligent scooters. Once the limit is exceeded, the upturned pedals and alarm bells will remind riders of slowing down. Safety is always more important than speed. In addition, Airwheel monitors the tilt angle and remaining battery capacity at any time. The Airwheel self-balancing electric scooter is a strong impetus to the intelligent travel field. In the future it will bring more surprises to the public.